A new generation of software applications is coming, and it will require millions of developers to get involved. While Beacon / iBeacon technology is still quite new today, we have seen ample discussion about how this technology (along with smart wearables, tags, and some other related tech) will help finally create the Internet of Things as soon as 2020. So let’s talk about what is coming, and check out where this is going. While iOS7 in essence launched the Beacon industry in conjunction with the iBeacon standard, iOS8 will make Beacons and location-awareness part of the whole Apple experience. In particular by making push notifications interactive, showing location-relevant apps on the lock screen, and giving users more power over what notifications show up on the lock screen. Why are these developments important? Interactive push notifications allow you to put options and calls-to-action directly into your notification message. This for example enables users to interact with Beacons in one step rather than several. If you have an app that can interact with iBeacon, and this is attached to a location – iOS 8 will show that app in the lock screen when the user visits that location. This not only makes app promotion much easier for developers, it also makes apps far less dependent on generating massive daily downloads and achieving high chart rankings in order to be successful. iOS 7 has only two settings for receiving notifications – on or off. In iOS 8 these settings are much more granular, and this is great news for developers. For example if one store sends too many annoying ads, the user can turn off notifications from that store only – rather than turning off notifications entirely. Thus giving developers a much better chance of engaging people favorably. While Google made many announcements in their 2014 I/O conference, the most important development for Beacon technology – is that context-awareness will now be baked into the next major Android release. While the ramifications of these developments extend even beyond Beacons, it also means that Google expects Android interaction with Beacon technology to become ubiquitous in the near future. According to Gartner – the total smartphone, tablet, and PC market will reach about 7.3 billion units by 2020 . This is up from the 2.5 billion units projected to ship in 2014, so this market alone is still strong and growing fast by itself. In the same report, Gartner also forecasts the growth of IoT to far exceed this market with 26 billion units installed by 2020 – resulting in a forecasted $1.9 trillion in global economic value-add. You will note that this “economic value-add” figure does not count the hardware and services sales from Beacon vendors (by itself numbered at $300 million by 2020). In fact this trillion dollar number is based on the assumption of value created by developers, who are able to leverage the power of IoT platforms. Believe it or not, this number from Gartner is actually the least ambitious of the available forecasts for IoT in 2020. For example ABI Research is predicting 30 billion, Cisco is predicting 50 billion, while Morgan Stanley is predicting an astounding 75 billion IoT connected devices! This is serious scale we’re talking about, and that’s not all. Not only will there be an entire new class of location-specific apps, and an entire new range of app-based use cases leveraging Beacon platforms. There will also be massive need for tools to aggregate, manipulate, and analyze the sheer amount of data that will be produced through IoT devices. That’s a mind-boggling amount of data, and we can barely manage the amount we generate today! Do you have the idea to fix this? There are massive rewards waiting for the clever developer(s) who can. The opportunities are there and the market is growing fast. It is evident that we really will need millions of developers to harness the full potential of Beacons and the IoT. The first responders able to create innovative and useful solutions with these technologies, stand to earn massive rewards. The potential market size is huge, and the big software platforms are locking in to prepare for this new Beacon-enabled reality. 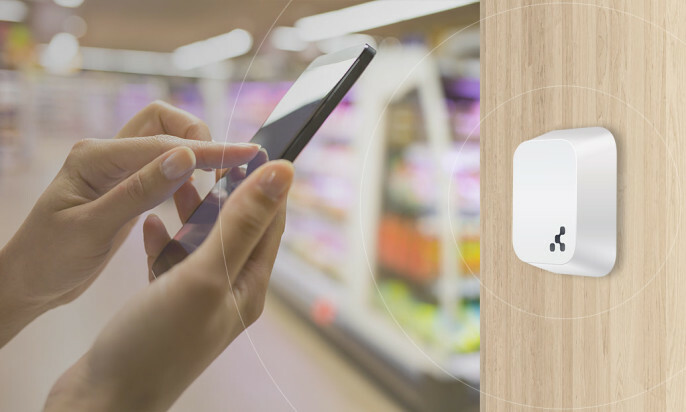 The next generation of smart devices will be expected to interact with Beacon technology. The smart device market (and the connected app marketplaces) are still growing massively and haven’t yet peaked. The smart device and market pales in comparison to the IoT market. The amount of data generated today, will also pale in comparison to what IoT networks will be generating. So tell all your entrepreneur and developer friends to get in on this now, while there’s still plenty of low-hanging fruit available. We’re on Twitter and Facebook or feel free to add a comment. iBeacons and IoT in general are all about apps. Apps that engage with their owners when the content is relevant and of interest for their owners. Beacon technology are much more than just micro-location. Local merchants need to leverage this opportunity to turn their establishments into opportunities to engage with visitors. Creative opportunities are limitless for delivering compelling services to customers. [Guest Post] Beacons Are Like Cellular Phones In The 1980's: Just The Beginning.